I wrote a blog post for Women in Astronomy that (among other problematic things) was racist. I got called out on this, and was incredibly ashamed and embarrassed. Fellow CSWA member and WiA blogger John Johnson​ challenged me to read Seeing White, where I learned a lot about white privilege and systematic racism in America. A Facebook Group (which I moderate) started having intense conversations about race where I was continually challenged to confront the various ways I have been contributing to a hostile climate for POC in my everyday life, on this blog, and in my professional community. There were several high-profile murders of unarmed black men by the police in America. So, it turns out I was/am racist. Not in an overtly bigoted way, but in the way that many white people in America are: I spent most of my life ignoring race, ignoring my white privilege, and not actively doing anything about the problem of systematic racism. I live[d] in a predominantly white neighborhood, and primarily interacted with other white people. I rarely discussed race with anyone, or thought about how my race impacted my world-view or life-experience. 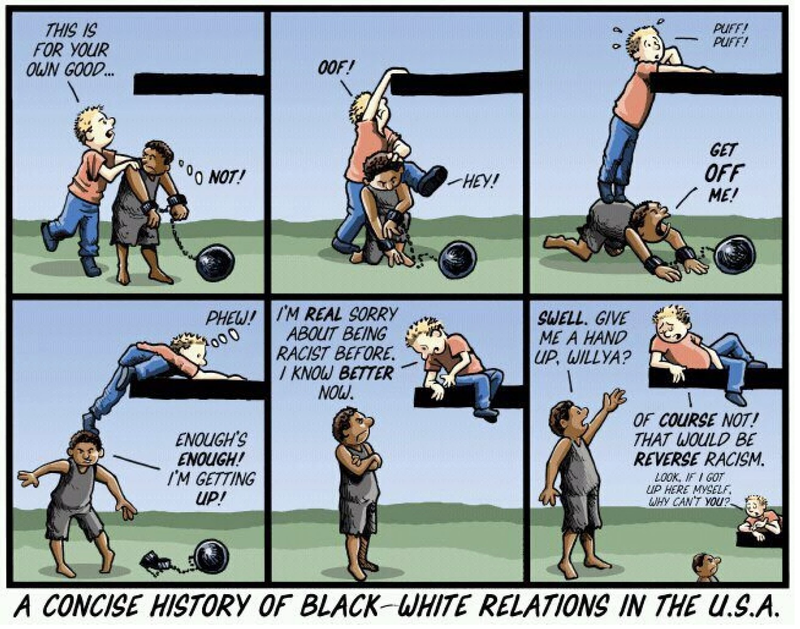 What had allowed me to ignore race in my everyday life was my white privilege. This is not something I would be able to do if I had been born a person of color in America. A white person can be actively anti-racist, working within their social network and means to reduce the impact of racism. 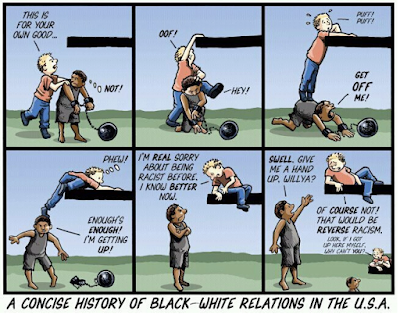 A white person can be passively racist, doing nothing about racism. Or a white person can be actively racist. Many white people want a passively anti-racist option. They don't want to take any action, and they want to be absolved of responsibility. Doing nothing supports racism. In a racist society, going with the flow allows racism to continue. To be passive in regard to racism is to be racist. Some white readers may feel uncomfortable processing this argument. Many whites (including the two white authors of this book) have been passive at some point in our lives with regard to race. Being called a racist feels like a slap across the face. It feels awful. It takes a moment to recover. But we would rather be called-out on our unintentional racism than to be unaware and inadvertently harming others in ways much more devastating. Individuals with power are unlikely to recognize their power and may feel uncomfortable when someone tries to reveal it. Because white privilege tends to be invisible, any given individual white person is unlikely to be aware of their racial advantage. White people might not feel personally powerful, and because of this, arguments about power might not resonate with them. If the focus is shifted from individuals' feelings of power to an analysis of who tends to hold power as a group, it becomes clear that whites are highly likely to be overrepresented on corporate boards and in legislative bodies. I listen to POC talk about race and racism: It turns out that living as a POC in America means that you are exposed to a lot more everyday racism than a white person. Therefore POC have a lived experience that is profoundly different than mine, and I can learn a lot by trying to understand their experience. Most of the time when it comes to conversations about race the best thing for me to do is to listen to, validate the experience of, and elevate the voices of POC. In fact the main role I see myself playing in conversations about race is to talk to other white people and try and help them understand their own passive and active racism. I point out inequities, white supremacy, and racism when I see it. This mostly involves telling other white people that I think they might not be considering how their white privilege is influencing their perspective on a situation or how their words/actions are negatively impacting others. This normally doesn't go very well. It turns out that (in general) white people don't like talking about race or any implication that they are behaving in a racist way. This phenomena is called white fragility. However, I will continue to do it—even though it hurts me socially and professionally—because I believe an important step in breaking down systematic racism in America is for more white people to clearly understand their privilege and resist participating in passive or unconscious racism. I am continually educating myself about race, white privilege, and intersectional feminism. This involves diversifying my media, following people of color on twitter, reading books, and attending trainings, workshops, and conferences around the issues of inclusion and equity. I am advocating for my workplace, and the STEM community as a whole, to institute best practices around recruitment, hiring, training, reviewing, promotion, and retention of URMs. ​I am participating in real-life activism like protests and meet-ups. I am donating to causes which help POC and other URMs. I am accountable for my mistakes: When I am criticized or called-out, I am of course embarrassed and ashamed. But I am also VERY grateful that the person cared enough to point out my mistake. They could have written me off as a lost cause, they could have avoided conflict by not saying anything. Calling someone out takes energy and is risky. So when I am called-out, I see it as an incredible gift, and respond with gratitude for the opportunity to change, regret for causing harm in the first place, and a commitment to do better in the future. I am working with other astronomers to change the culture in astronomy to address discrimination and prejudice in our field. I am helping the organizers and participants of Inclusive Astronomy develop recommendations for best-practices around inclusion and equity. I am seeking out more diverse voices for this blog, hoping to elevate the experiences of women of color and other URMs. Now let me be clear: I am still racist. This is work I am going to have to continue to do for the rest of my life. There is no test I can pass which declares that I am no longer racist. However, it is incredibly important work, and work that is essential to the overall success of our field. How can we do the best science if we are excluding and pushing-out some of the best talent? I believe the first step in addressing racism in Astronomy is for us to admit the ways we contribute to racism as individuals, and to try and become better as individuals in combating our own racist and discriminatory behavior. What are you doing to address your own racism? Please comment below. I would like to especially thank Zuleyka Zevallos and Chanda Hsu Prescod-Weinstein for being excellent leaders, teachers, role-models, and continuing to hold me accountable.